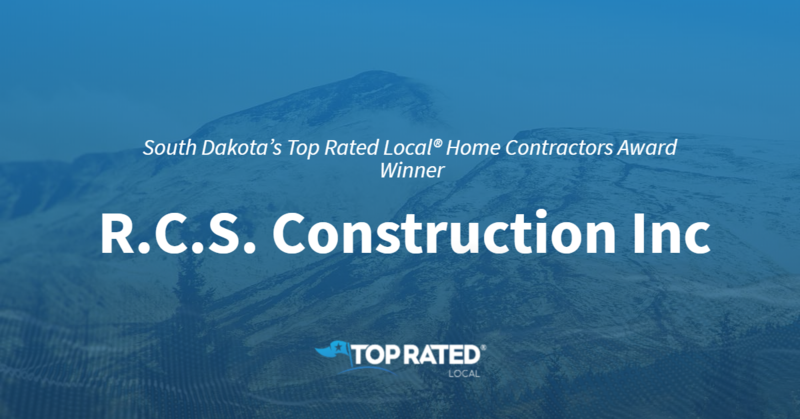 Top Rated Local® is pleased to announce that Jones Construction Company is a 2019 award winner for home contractors in South Dakota! 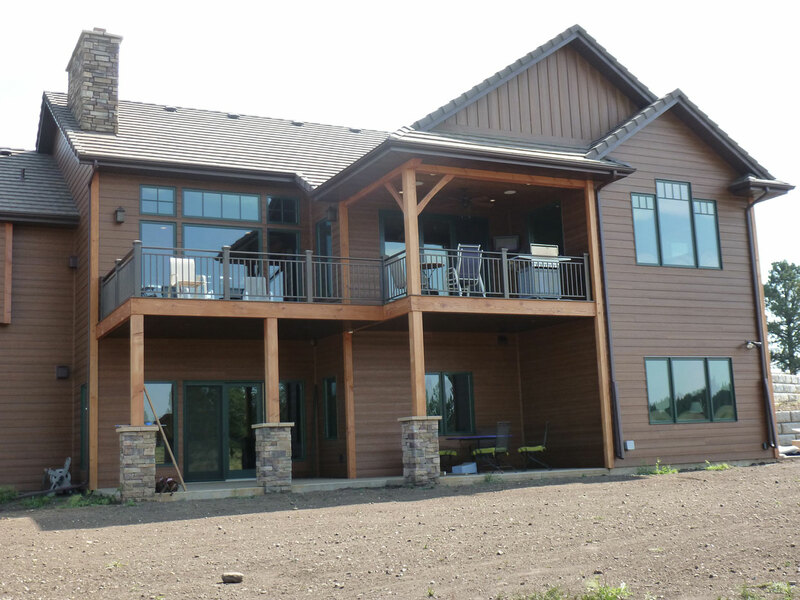 From custom homes and new construction to remodeling, the team at Jones Construction Company is the company to turn to for the home of your dreams in Rapid City. Jones Construction Company has received dozens of reviews on four verified sites with an average rating of 4.88 stars, earning them a phenomenal Rating Score™ of 87.08 and a 2019 Top Rated Local award for ranking among the top 10 home contractors in all of South Dakota! “Ross and Melanie are an incredible team to work with!!! They listened, provided quality service and products, and made the building process easy from beginning to end!! Their team was so fun to work with as well. My experience was perfect, and I have nothing but praise and gratitude for all Ross and Melanie did for me. Another really incredible affirmation of their work was listening to all the subcontractors speak so highly of Ross and Melanie as a company and as people. 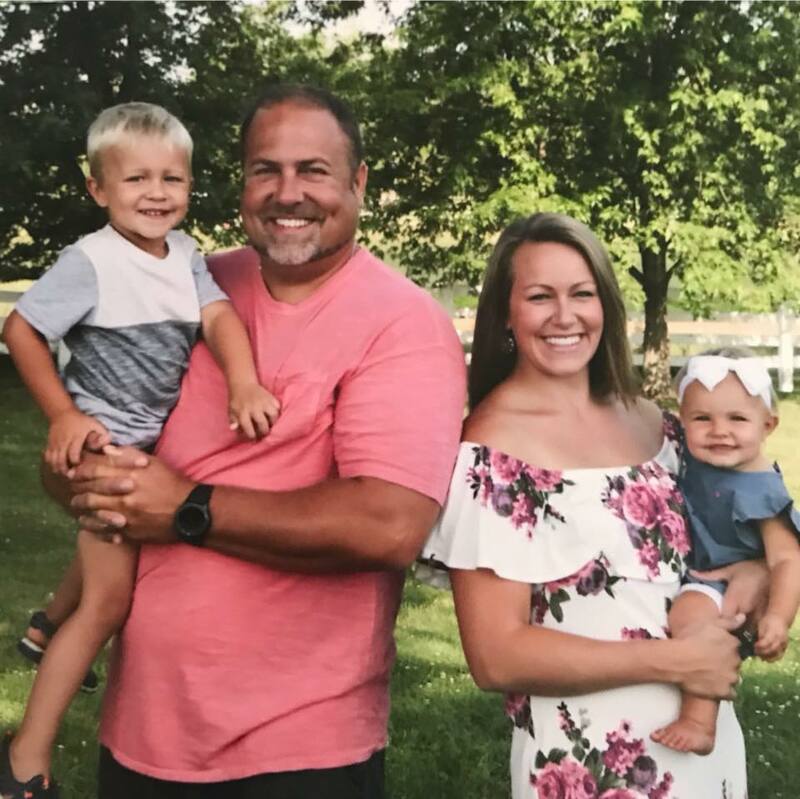 Jones Construction will always be first on my lips for a new build or remodeling project referral!” – Kara M.
We wanted to learn a little more about Jones Construction Company and its incredible online reputation, so we took a few minutes to talk with the owner, Ross Jones. The first question we had for Ross was what sets Jones Construction Company apart from their competition in South Dakota. He told us that he’s been in the industry for 40 years and that Jones Construction Company has been in business for 30 years. Because Jones Construction Company is a small company — it’s made up of him, his wife and five to six employees — they are very hands-on, they work closely with the client and they do more of the trade work than other contractors do. Ross went on to tell us that they are apart of both the state and national Home Builders Association. We also wanted to know what their mission is at Jones Construction Company and how they work to make the world a better place. Ross told us that they help people in their community who need it, and that they are active in their church. Ross attributes Jones Construction Company’s strong online reputation to their commitment to encouraging past customers to go online and write reviews about them, as well as to their commitment to always fixing the job if they didn’t do it right the first time. Outside of building a powerful online reputation, Jones Construction Company has gotten their name out there through their website and Houzz account — which is managed by a website company. There are so many home contractors looking to build the kind of online reputation Jones Construction Company has. When asked what advice he has for them, Ross emphasized the importance of building a part of their local Home Builders Association and having a good website. Congratulations to the team at Jones Construction Company for being a 2019 Top Rated Local award winner, and thank you so much, Ross, for taking the time to speak with us! We highly recommend Jones Construction Company in Rapid City. Visit their website today! 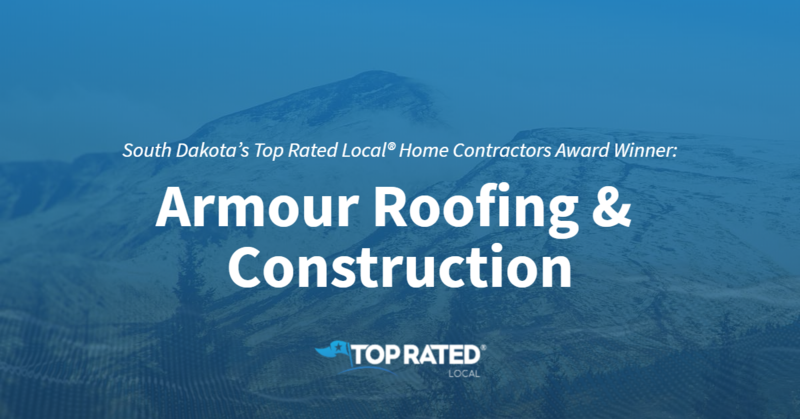 Top Rated Local® is pleased to announce that Armour Roofing & Construction is a 2019 award winner for home contractors in South Dakota! Entrust your roof to no one but the best by entrusting it to the team at Armour Roofing & Construction. Armour Roofing & Construction has received dozens of reviews on three verified sites with an average rating of 4.86 stars, earning them a stellar Rating Score™ of 94.65 and a 2019 Top Rated Local award for ranking among the top 10 home contractors in all of South Dakota! “Working with Armour Roofing was a great experience. They replaced the roof on my home after a recent hail storm. Their representative was there when the insurance adjuster arrived and made sure that everything was covered. The workers were professional and efficient, and left our yard and home clean and looking great. The finished roof looks wonderful. I will definitely call Armour Roofing and Construction when I am ready to replace the siding on my home as well. I would recommend Armour Roofing to anyone who is interested in either new construction or major/minor repairs to your home.” – Wendy N.
We wanted to learn a little more about this one-of-kind-business and its impressive online reputation, so we took a few minutes to talk with Ryan Kolb, the owner of Armour Roofing & Construction. The first question we had for Ryan was what sets Armour Roofing & Construction apart from the many other roofing companies in South Dakota. Ryan points to the fact that they are one of the best roofing companies in the entire state, and that they are the only company that has Terry Redlin’s priceless art collection under one of our roof’s. He went on to tell us that all of their roofers are skilled, qualified and experienced. We also wanted to know what their mission is at Armour Roofing & Construction and how they work to make the world a better place. Ryan told us that they serve the entire state, helping communities that have been stricken with hail, flooding and other disasters. They expedite the services to make sure the properties are brought back to great condition before the disaster. Ryan attributes Armour Roofing & Construction’s strong online reputation to the excellent customer service they provide day in and day out, and told us that they aren’t afraid to ask their clients for reviews. Outside of building a powerful online reputation, Armour Roofing & Construction has spread the word about who they are and what they do through Facebook, television and Google ads, as well as through Ryan’s partnership with a business friend who owns a marketing company. Congratulations to the team at Armour Roofing & Construction for being a 2019 Top Rated Local award winner, and thank you so much, Ryan, for taking the time to speak with us! We highly recommend Armour Roofing & Construction. Visit their website today! Top Rated Local® is pleased to announce that R.C.S. Construction Inc is an award winner for home contractors in 2019. If you are looking for a quality home contractor in Rapid City, look no further than this award-winning company! R.C.S. Construction Inc has received many overwhelmingly positive reviews across multiple verified sites with an average rating of 4.65 stars, earning them an impressive Rating Score™ of 90.48 and a 2019 Top Rated Local award for ranking as one of the top 10 home contractors in South Dakota! “[They are the] only construction company I would recommend! Their work is top of the line and their client service is the best I’ve ever experienced.” – L.W. It is because of excellent reviews like this that R.C.S. Construction Inc is now able to call themselves a Top Rated Local award winner! We were excited to learn all about how R.C.S. Construction Inc has been able to build such an impressive reputation, so we sat down with the Project Manager Estimator, Josiah. R.C.S. Construction Inc has certainly managed to build an impressive reputation, so we wanted to talk some more about the ways they have marketed themselves over the years. We learned that they have advertised on billboards, and they also keep their community updated through their website and Facebook pages. R.C.S. Construction Inc is also active in their community, where they donate to local charities and participate in non-profit work. Congratulations to R.C.S. Construction Inc for being a 2019 Top Rated Local award winner, and special thanks to Josiah for taking the time to speak with us! 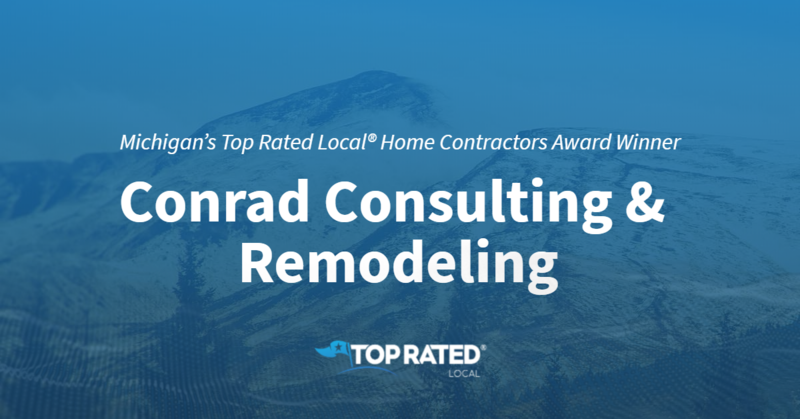 Top Rated Local® is pleased to announce that InVision Construction is an award winner for home contractors in 2019. If you are looking for a home contractor who will provide unmatched service and care, look no further than this award-winning company! InVision Construction has received many overwhelmingly positive reviews across three different verified sites with an average rating of 4.92 stars, earning them an impressive Rating Score™ of 96.22 and a 2019 Top Rated Local award for ranking as one of the top three home contractors in Mississippi! “[I was] very happy with the completed project. The guys arrived on time each day, cleaned the work area at the end of the day, and skillfully completed the job as scheduled. [I] highly recommend [them] for your project. I will certainly use the [InVision Construction] again.” – D.W. It is because of excellent reviews like this that InVision Construction is now able to call themselves a Top Rated Local award winner! “[They are a] great company, [with a] great staff! 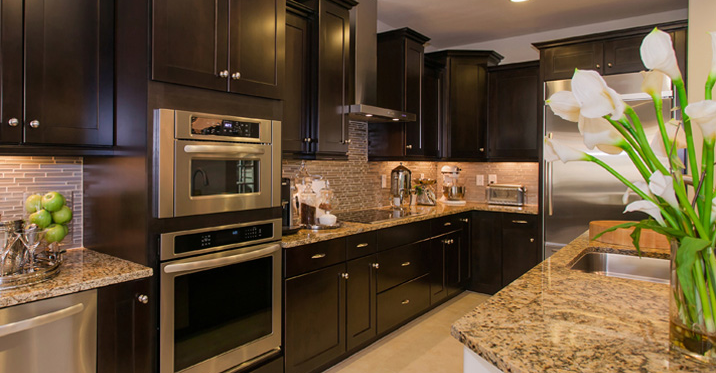 [I am] looking forward to referring friends and family for their next kitchen and bathroom remodels!” – J.B.
Congratulations to InVision Construction for being a 2019 Top Rated Local award winner, and special thanks to Jim for taking the time to speak with us! Top Rated Local® is pleased to announce that Stoneybrook Homes is a 2019 award winner for home contractors in Mississippi! 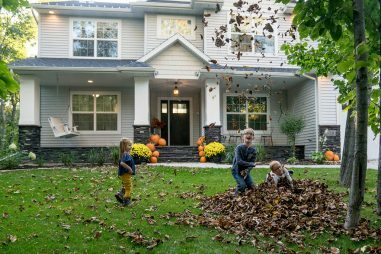 If you’re looking for the right home builder to work with in Desoto County and Olive Branch, look no further than Stoneybrook Homes. Stoneybrook Homes has received dozens of reviews with an average rating of 5.00 stars, earning them a magnificent Rating Score™ of 92.00 and a 2019 Top Rated Local award for ranking among the top 10 home contractors in all of Mississippi! “[These are] quality-built homes by quality people. 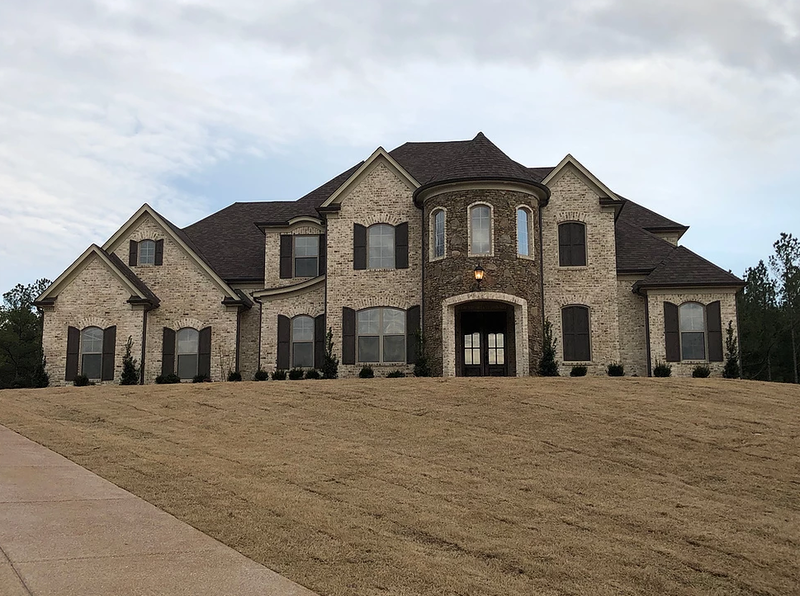 Anyone looking to buy or build in DeSoto County, call Stoneybrook.” – Marcus B.
Craig Waldrop, a partner at Stoneybrook Homes, generously gave us a few minutes of his time to tell us a little more about this award-winning business and its impressive online reputation. Congratulations to the team at Stoneybrook Homes for being a 2019 Top Rated Local award winner, and thank you so much, Craig, for taking the time to speak with us! We highly recommend Stoneybrook Homes. Visit their website today! 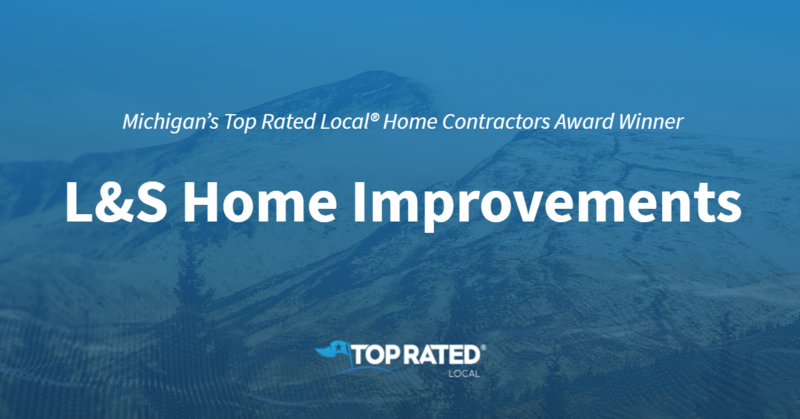 Top Rated Local® is pleased to announce that Ben Quie & Sons is an award winner for home contractors in 2019. If you are looking for a home contractor in Saint Paul, Minnesota, look no further than this award-winning company! Ben Quie & Sons has received many overwhelmingly positive reviews across four different verified sites with an average rating of 4.81 stars, earning them an impressive Rating Score™ of 96.12 and a 2019 Top Rated Local award for ranking as one of the top five home contractors in Minnesota! “Ben Quie & Sons remodeled the kitchen of our hundred-year-old, very idiosyncratic, house. They did an outstanding job in all respects, and I would recommend them without hesitation to anyone who cares for remarkable craftsmanship coupled with old-fashioned business values like reliability, honesty, and attention to detail. Plus, they satisfied my lifelong yearning for cherry cabinetry! My only hesitation is that the kitchen is now almost too beautiful to cook in.” – Judy W.
It is because of excellent reviews like this that Ben Quie & Sons is now able to call themselves a Top Rated Local award winner! We were excited to learn all about how Ben Quie & Sons has been able to build such an impressive reputation, so we sat down with the office manager, Jeff Schwartz. The first thing we wanted to know was what it is that makes Ben Quie & Sons stand apart from their local competitors. Jeff let us know that Ben Quie & Sons specialized in restoration and on custom jobs. To help them to do this, they make sure to focus their time on providing excellent customer service. “Regular meetings made for excellent communication, planning, and decision-making. [They] were open to and interested in utilizing new techniques to assure our home’s energy efficiency. The subcontractors they suggested did excellent work. We could not have been more pleased with our lead carpenter and his crew.” – M.N. There are many businesses out there that are looking to build as impressive a reputation as Ben Quie & Sons has managed to. We asked if Jeff could share any expert advice to these companies. He said to make sure to invest the time into putting together a great company website. Congratulations to Ben Quie & Sons for being a 2019 Top Rated Local award winner, and special thanks to Jeff for taking the time to speak with us! Be sure to check them out at their new location! 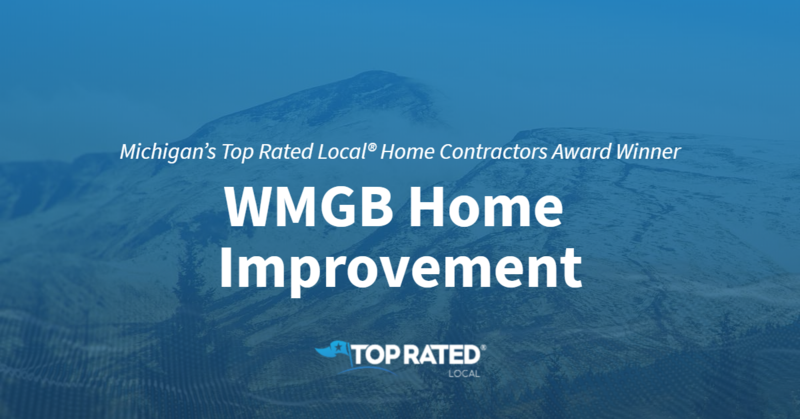 Top Rated Local® is pleased to announce that WMGB Home Improvement is a 2019 award winner! “The guys arrived on time and took excellent care of our house. The inside where they were working was newly carpeted and finished. They covered their work boots inside to protect our home and made sure everything was cleaned up and put back when they left. [They were a] very detail oriented and friendly crew. I would definitely have them back for more work and recommend them to friends and family.” -Mark L.
George Clark, the Vice President of Finance and Business Development, took some time to speak with us about the business’ excellent online reputation. The WMGB mission is to do right by all of their clients. “Our mission and vision are simple and all of our people know it: Just do the right thing and be relentless about it,” George said. Congratulations to the team at WMGB Home Improvement for being a 2019 Top Rated Local award winner, and thank you so much, George, for taking the time to speak with us!